Searching the PaleoClimate Record for Estimated Correlations: Temperature, CO2 and Sea Level | Watts Up With That? This post is the first of what will likely be a series on the PaleoClimate. In this part, we are just going to go through the various estimates for Temperature, CO2 and Sea Levels in the PaleoClimate. This post is also about making the data available to everyone so that others can use it. All of the data presented in this post is available for download at the end in easy to use Excel spreadsheets which also incorporates direct links to the actual data sources used. There are various sources we can use for estimates of Temperatures in the PaleoClimate. We have the ice core dO18 isotope data going back 800,000 years. James Zachos has a high resolution database of dO18 isotopes going back 67.0 million years. Jan Veizer has accumulated an isotope database that goes back 526.5 million years. Dana Royer and Robert Berner applied a ph-correction factor to Veizer’s database and Christopher Scotese has developed Temperature estimates that extend back into the pre-Cambrian. For the most part, the Temperature estimates are based on dO18 isotopes and these have proven to be reasonably reliable, or more accurately, to be the most reliable temperature estimation method that is available. The isotope data does require a number of different transformations and smoothing to make it useful as a Temperature proxy. Nobody is really sure what the proper way to carry this out is. For one, it must be detrended as the data becomes older. The dO18 declines over time due to the radioactivity of the Earth. The above estimates are based on a simple linear detrending formula. The rationale is that the radioactive conditions would have remained reasonably constant over the last 530 million years. Others have used a second order polynomial but this does not result in much difference. It has been noted that the dO18 isotope data should also be corrected for ice volume, sea level, the concentrations of CaCO3 in the oceans and -ph conditions of the oceans. Royer and Berner applied a ph-correction factor based on Berner’s GeoCarb III CO2 estimates. Again, this doesn’t make much difference except that Royer and Berner’s numbers are now lower than Veizer’s original database would point to. Effectively, any transformation carried out has still got to match the record that we know about. It is still going to have to show a Carboniferous ice age, an Ordovician ice age, a hot Permian Pangea climate, a hot Cretaceous period, an Antarctic glaciation and the recent ice ages. In other words, no matter what corrections are applied, one should just end up with something very similar to the above chart. Veizer’s database contains over 16,600 individual dO18 isotope data points extending back 526.5 million years. There is sufficient resolution throughout the database that we can be reasonably certain about any specific period. The above chart has been constructed using Veizer’s data with two different smoothing parameters; a shorter one which preserves more detail and then one that emulates the Phanerozoic Climate Change chart by Robert Rohdes of Global Warming Art. It is likely that both are reasonably accurate and sometimes less smoothing is preferred to more smoothing so that more information can be extracted. In this case, there really is more information available from the shorter Gaussian smooth. Immediately evident is that certain large temperature changes coincide with some of the large Mass Extinction events in the planet’s history. The really unusual one is the Permian Extinction event in which 96% of marine species and 70% of large land animals died out in a very short period of time about 251.4 million years ago. Previously this was thought to be due to exceptionally hot conditions or even ocean chemistry changes. But now one can see that temperatures actually declined by about 5.0C in a very short period of time (something that is that well-known). This temperature drop exactly coincides with the dating of the Siberian Traps volcanic events at 251 to 250 million years ago which is the largest series of volcanic events known in history. An area nearly the size of Australia may have been covered by volcanic magma flows hundreds of metres deep (some places have been measured at 4 kms deep). The volcanoes lasted for about 1 million years and, not surprisingly, temperatures fell. The other event is the Ordovician extinction event of 443 million years ago in which 50% of the new Cambrian genera of life disappeared. This was always known to be caused by a cooling climate. But now, one can see that there is a very significant drop in the smoothed temperature estimates exactly at 443 million years ago. The Devonian Extinction seems to be caused by a rapid increase in temperatures, as much as 10.0C in just a few million years. Notice how the Cretaceous Period, 95 million years ago, is 2.0C to 3.0C higher than the Paleocene Eocene Thermal Maximum. The climate scientists are always talking about how unusual the PETM was but just a few million years earlier, temperatures were quite a bit higher. Dinosaurs even lived in Alaska at the time, and it was a little farther north in the period than it is now. The PETM event does not even look unusual enough in the record to spend much time on. Notice that the timelines surrounding the Carboniferous Ice Age and the Ordovician-Silurian Ice Age are now clearly defined. These timelines match up very closely with the estimated alignment of the Continents during the periods. Even the short mid-Jurassic Ice Ages are now evident at a point in time when parts of EuroAsia were transiting the North Pole. Zachos has developed another database of 14,800 individual estimates of dO18 isotopes that covers the past 67 million years with a resolution of less than 100,000 years in most cases. The time period when Antarctica glaciated over (for the fourth time that is known about) is clearly evident. Temperatures reached as high as 6.0C during the PETM and the periods when Antarctica reglaciated and when Greenland’s glaciers started building occurred at 14 million years ago. About 2.5 million years, the most recent cycle of ice ages began. In part II of the series, we may take a closer look at the ice ages in more detail. There are quite a few different estimates for CO2 in the PaleoClimate. We have the ice cores, we have Mark Pagani 2005 with high resolution estimates between 5.4 million years to 44.5 million years ago and we have Berner’s GeoCarb III estimates which go back to 570 million years ago. There are others (and they have been included in the CO2 spreadsheet) but they are not as well-accepted as these. The other estimates come mainly from Stomata size (the cells that plants to use to absorb CO2), Paleosols (ancient soil deposits) and Phytoplankton among others. Using the estimates that are most accepted and given the resolution is higher with the ice cores than with Pagani and then Pagani’s resolution is higher than Berner’s, they have been incorporated back-to-back-to-back as one series as follows. As most of you are aware, CO2 goes as high as 7,069 ppm 520 million years ago and as low as 180 ppm during the height of the ice ages. On the same timeline as the PaleoTemperatures Over 67 Million Years chart above, CO2 looks like this over the past 70 million years. Sea level has also been included in the databases since it is not well-known that these high resolution estimates exist. In addition, sea level can certainly have an impact on the climate as well be an indicator for the climate. There are many different sea level estimates and the most recent one covering the whole period, produced by the world-leading expert on sea level, Bilal Haq, is the most accepted version (Haq, Schutter, 2008). Sea Level has varied by a large amount throughout history. Sea levels were as much as 265 metres higher than today 100 million years ago and have been as low as 120 metres lower than today during the Last Glacial Maximum. Sea level seems to vary through three different mechanisms. Sea level falls when glaciers build up on land. Obvious enough. Sea level rises when new young ocean basins are opening. New ocean basins generally form at only 2,500 metres depth while mature ocean basins tend to deepen and reach a depth of about 6,000 metres after 100 million years. That means the overall average depth of the ocean is lower when new oceans are forming. This is particularly the case during the Cretaceous when the Atlantic Ocean was just opening up. Sea levels rose so high during the Cretaceous as the Atlantic was just opening, that the ocean flooded North America from Texas to Inuvik, to Hudson Bay. Europe, the Middle East, North Africa and the central parts of Eurasia were also flooded by shallow oceans. During the Carboniferous and the Jurassic, the land masses were collected together into the Supercontinent of Pangea. Sea levels fell in the earlier part as glaciers covered large parts of Gondwana, but then they stayed low as the glaciers melted and the continents moved together to form Pangea. There are periods when there are rapid changes in sea level and these have been used by researchers to date the periods of glaciations. It appears Scotese has used earlier versions of the sea level data to date the glaciations used in his temperature reconstruction. Putting all the best estimates together, here is a view of the Temperatures, CO2 and Sea Level throughout the past 526 to 570 million years. In subsequent posts, we may look at the Milankovitch Cycles and the recent ice ages, Continental Drift through time and how that may have affected the climate and then the empirical evidence surrounding the CO2 doubling sensitivity in the PaleoClimate. The main purpose of this post was to just make the data available to everyone. Others are free to use to use this data in any manner they see fit. The data is available in three different easy-to-use Excel spreadsheets and can be downloaded at this link. The Paleo Temp Database is a very large file and may be a slow download. isotope data going back 800,000 years. James Zachos has a high resolution database of dO18 isotopes going back 67.0 million years. Jan Veizer has accumulated an isotope database that goes back 526.5 million years. Dana Royer and Robert Berner applied a ph-correction factor to Veizer’s database and Christopher Scotese has developed Temperature estimates that extend back into the pre-Cambrian. declines over time due to the radioactivity of the Earth. The above estimates are based on a simple linear detrending formula. The rationale is that the radioactive conditions would have remained reasonably constant over the last 530 million years. Others have used a second order polynomial but this does not result in much difference. · Sea level falls when glaciers build up on land. Obvious enough. · Sea level rises when new young ocean basins are opening. New ocean basins generally form at only 2,500 metres depth while mature ocean basins tend to deepen and reach a depth of about 6,000 metres after 100 million years. That means the overall average depth of the ocean is lower when new oceans are forming. This is particularly the case during the Cretaceous when the Atlantic Ocean was just opening up. October 16, 2009 in Paleoclimatology. maybe this is conventional in the field, but to my eyes it looks like the time axis runs in reverse (greater x axis values represent negative years from now). This confuses my weak intellect :(. I’d prefer clearer labelling to make this easier to interpret correctly. Most other charts I see here have the present on the right edge. The inconvenient truth is that none of these facts about past climate matter… we all must submit to the will of our masters and pay more taxes and give up our freedoms. That is the ultimate objective of the warmists. Used to be that we worried about getting food. Of all people, my 16 year old son pointed out to me that abundance creates stupidity. Too much good leads to too much bad. And realist’s are subjected to praying for cold and the demise of society so that they can be proven right. Thanks for posting the data in excel! That’s a great habit and appreciated. Is there any geomagnetic data over these time spans available by chance? Sea level seems like a highly problematic measure to make, especially given the nature of tectonics, over time periods of even millions of years. In that time, lithified ocean deposits can be lifted 1,000’s of feet into the air. What is the defined by this study to be level 0? Will this study take into account the different flora/fauna present during these periods? Life adapted to the conditions present on earth at the time. Any comparison of Cambrian life (and it’s CO2 and temp) with the present would be highly misleading. There are certain conventions, which apparently do not pertain to blogs, yet. Ordinates and abscissas should be unambiguously labeled: units, parameter, numeric range, and any other necessary information should appear on the appropriate axis or in the legend. The x-axes here all represent millions of years BP (before present). Some of the graphs say millions of years BP; other say just millions of years; and one says nothing at all. Zero years BP is often on the right, but can also be put on the left as a little prank to see if you’re paying attention. * this is usually parts per million by weight if you’re looking at liquid solutions or parts per million by volume if you’re looking at gases, but there are industry-specific exceptions. If not stated, hey, just assume it’s ppmv. That will be close enough for jazz, astrophysics, dendrophrenology, and paleoclimatology. I think measuring sea level that far back is a pointless excercise. Techtonic Plate movment means that all sorts of assumptions have to be made to correct for it. I`d like to see that last combined graph with just CO2 and Temperature. Bill Illis…..credibility going down here….just wait until Joe gets hold of this…if he even bothers…. Can someone explain how sea level over large time spans is estimated? Sea level relative to what? To land is what matters, but the land is in motion. Plate tectonics push land up and down, so do ice caps that go away and return. Mountains rise and get eroded. One can one measure sea level without a static reference point? It would be interesting to compare phase in the d18O and d13C data in Cenozoic sediments. Zachos, et al. show the data for the Paleocene-Eocene Thermal Maximum in figure 5 of Science vol. 292, pp. 686-693. Lag of d13C behind d18O is evident if you give comparable scale to the anomalies. Even at the ocean bottom, temperature seems to control gaseous carbon. Science declined to publish this observation. Of course, Mudelsee in Quaternary Science Reviews, vol. 20, pp. 583-589 observed that the best fit between temperature and carbon in the Vostok core indicates a 1300 year lag for carbon. 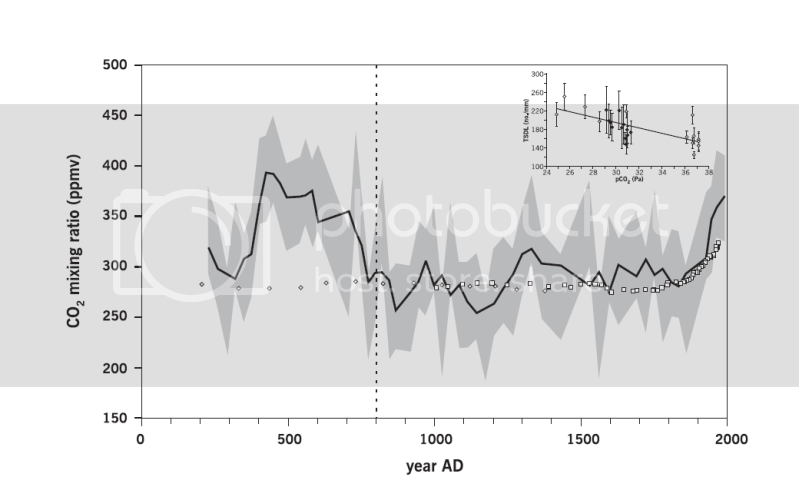 When the warmists deny the significance of this, they are effectively saying that the CO2 level in 2000 AD influenced the temperature in 700 AD. Of all those who would impose unscientific beliefs on their fellow humans, warmists are really perhaps the most harmful as they have been able to distort profoundly the economic status of the western world, and the worst may be yet to come. Nice post – I think you should add some additional details on the delta O18 paleothermometry – nowhere do you note that the ice core data comes from oxygen isotope ratios in the ice for the first 800,000 year record, whereas the older Phanerozoic record comes from the oxygen isotope ratios preserved in the shells of marine microfossils like forams. Where much of the recent debate over tree-rings temperature proxies focuses on whether trees really are thermometers, the physical basis for using isotopes for paleothermometry is well established and has strong theoretical and experimental support. I think you were were wise to allocate your time and effort to bring this dataset to the public’s attention because it really is one of the most important constraints on the range of temperature and CO2 variability through geologic time – people should know these graphs and understand how they are produced and what the data means. Very useful to give an overview and a broader picture. Puts things into perspective. Thanks, Bill. There are certainly some questions and doubts which would probably need a closer look at the original publications. What’s the”d” for (in “dO18”)? Thanks. Download the data, on the graph in excel you can right click the x-axis, click format axis, select the scale tab and check the box at the bottom that says values in reverse order. Although Red432, If you do that, all the labels added won’t be much good. But the data is there. I agree. This looks to me like a very important post. Too big for a rapid comment. Bill, I’ve just quickly scanned this article and I commend you for making the data available. There are details missing however and some errors. For example the notion of a correction to d18O to account for the radioactivity of the earth is wrong. Similarly the pH correction to d18O is controversial. At equilibrium the d18O composition of a marine mollusc/foraminifera (which most of these data are based on) would be independent of pH. These issues are complicated but if Anthony and you are in agreement then I’m more than happy to write a 101 primer to stable isotopes and palaeotemperature measurements for WUWT and readers. 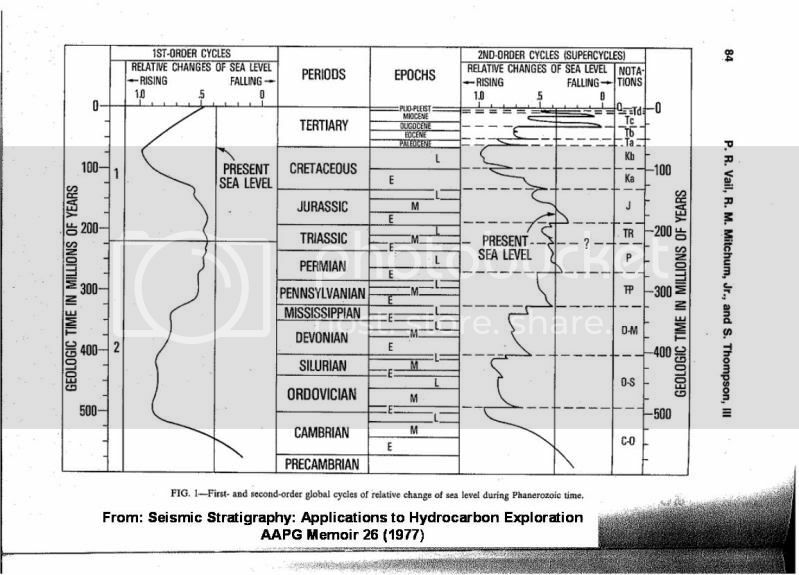 It’s also important people try to keep their mind in a geologic time state when looking at this data. For some of the graphs presented, there is enough time between data points were 20 ice ages could come and go. Climate operates on decadal scales and we are looking at scales in the millions of years. Just to give you a sense, there are 100,000 decades in 1 million years. So for that 540 million years of data, lets think of that as 54 million decades (54,000,000 decades). Hard to imagine geologic time, and this is only 1/9th of the history of the earth. Any chance of adding a history of sea-level atmospheric pressure as well? Are there proxies for air density? ….. e.g. wing area/weight of flying creatures? Bill, many many thanks for your presentation, and for making the data available. Please tell us where you picked up bit about the adjustment for radioactivity. Likewise Paul Dennis, please tell us why you think this is wrong. And yes please, I’d really like to see a contribution from you on a full post of your own. Regarding the Zachos dO18 anomalies, is the increase in variability with decreasing age or temperature, a real effect, or the result of increased resolution, or some other cause? Not me! I would love a nice, sane society. Your son seems to be right about the link between abundance and stupidity. No wonder we were kicked out of the Garden. Yes, I do hope it gets cold. The ninnies in charge are dangerous. If they wreck the economy via carbon restrictions we could end up with another world war. I’m not hoping for a new ice age, just a solid refutation and humbling of our “leaders”. Could you make the last graph clickable too ? And I would love a version of the last graph without sea levels. Will you be doing some correlation analysis on these in later articles ? For many years now, I’ve been on a non-profit personal effort to divulgate science among Spanish talking people, as can be corroborated by a simple search in Google. May I translate your article into Spanish and publish it in my blog, “El Atril del Orador”, with due recognition and links, of course? Relative changes in paleo-sea level throughout much of the Phanerozoic are not too difficult to reconstruct using Sequence Stratigraphy. Sedimentary rocks are the result of paleogeography and paleoclimatology. In regards to Royer and Berner’s ph correction factor and that fact that it is just bootstrapping CO2 onto the temperature estimates, Veizer and Shaviv in their response noted that there might be a rationale for applying a correction for ph. They also noted there was no rationale for just using GeoCarb III as the basis for that correction. In the post, I noted there might rationale to incorporate other correction factors including ice volume, sea level and a number of others. Nobody really knows how to do that. And then, at the end of the day, whatever correction factors are applied, they cannot be so large as to make much difference. The temperature estimates still need to provide a resonable match to the periods we are reasonably certain about. In other words, no matter what corrections are applied, you are right back where you started with the same chart. I included Royer and Berner because it is “A” PaleoClimate Temperature reconstruction and that is what this post is about. I don’t think it is that far off, maybe the Cretaceous period only, and then it incorporates a very long smoothing parametre which just smooths out much of the information available. Regarding the dO18% long-term trend, the isotope ratio declines the farther back one goes in time. In Veizer’s database, the ratio starts at 3.38% (compared to the mean) and then declines to as much as -10.0% by 526.5 million years ago. This is thought to be due to just normal radiogenic processes or radioactivity. The data is usually just detrended with a linear or a polynomial function. It is rather straightforward to do. Have you looked at the Paleocene-Eocene Thermal Maximum (PETM) in any detail? Quite often it will be asserted that the PETM is model for the imminent ocean acidification climate disaster du jour. One tiny problem, no one can find any evidence of globally elevated atmospheric CO2 levels. Royer et al. (2001), Paleobotanical Evidence for Near Present-Day Levels of Atmospheric CO2 During Part of the Tertiary is an interesting read. There is a fair bit of evidence that oceanic CO2 levels were elevated and there was a sharp, but brief, shoaling of the lysocline (oceanic acidification) during the PETM. The most likely answer lysocline shoaling is the release of sea floor methane hydrates due to extensive volcanism as the Northeast Atlantic began to open – Story et al. (2007). The Spam filter may have grabbed my last post due to a couple of Science Mag. links. Quite often it will be asserted that the PETM is model for the imminent ocean acidification climate disaster du jour. In the post, I noted there is nothing particularly special about the PETM in comparison to the overall record. It just provides a convienent target for global warming exageration. There was a different continental alignment at the time and, in subsequent posts, we may cover how that has affected the climate including the PETM. The paleobotanical evidence (including CO2 estimates) vary by large amounts and is not consistent from period to period. I’ve put all of Royer’s data into the spreadsheets. It is another piece of evidence that should be taken into account but it is not clear that the paleobotanical evidence can be relied on. I see where you are coming from now with your comment about detrending the d18O trend over phanerozoic. 18O is a stable isotope of oxygen and its concentration is not affected by radioactive processes. The trend in Veizer’s data base is more than likely caused by diagenetic processes that alter the initial isotopic composition of the calcifying marine biota that are recording the isotopic composition. Typical marine d18O signatures are slightly positive (say +1 to +3 per mille with respect to mean ocean water). Diagenetic processes, especially those associated with freshwater fluxes through sediments will shift the isotope composition of the shells towards more negative values (typically down towards -10 to -12 per mille). Similarly any heating due to burial in sedimentary basins will lead to changes in the oxygen isotope composition. The older the sediment then the more chance that it is likely to have been reset. The changes are not due to radioactvity. This is a case where the metadata is critically important. For example microscopy, xrd, cathodoluminesence etc. might reveal evidence of recrystallisation etc. which may indicate that the oxygen isotope signal has been reset. Not with standing theese caveats the Veizer data base is very important. Thanks for compiling that data for all ! This post is also about making the data available to everyone so that others can use it. All of the data presented in this post is available for download at the end in easy to use Excel spreadsheets which also incorporates direct links to the actual data sources used. But you don’t understand! You can’t let the data out and let ‘average’ people ‘play’ with it. They’ll make all sorts of assumptions, corrupt the data by removing our ‘corrections’ and all sorts of nasty things. Shame on you! Obviously you do not have a scientific background and this is not published in a ‘peer-reviewed’ publication (that we deem acceptable, of course) so it’s invalid anyway. Folks — something jumps out at me from looking at these graphics that I was not previously aware of. Look at the 3rd temperature graphic — the one for the last 67 million years. 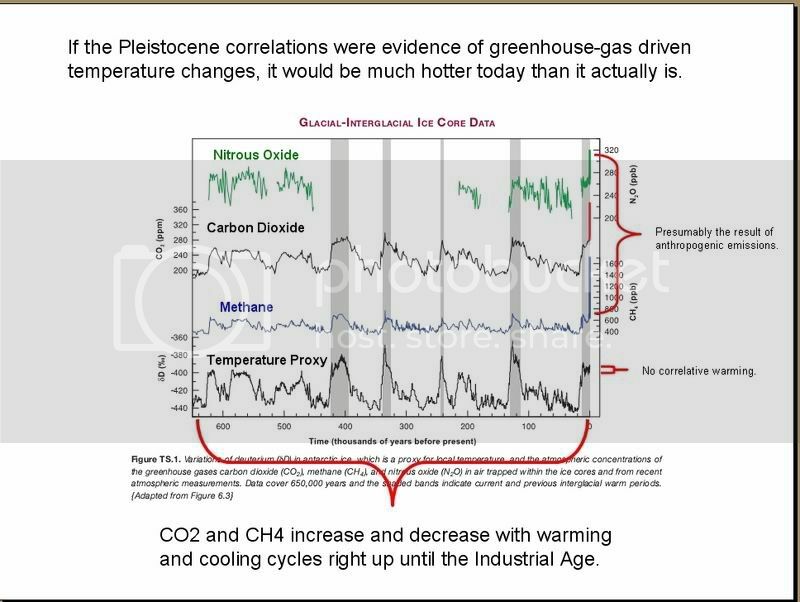 Now look at the 3rd CO2 graphic — the one for the last 70 million years. See how CO2 levels did not stabilize to roughly their current levels (300 – 400 ppm) until Antarctica swung into position at the South pole (40 mya) and glaciated over (40 -30 mya). There is a LOT of water that is “out of play” now that it is all parked on Antarctica. I have no explanation but I suggest that it is no coincidence that the past 30 million years of stable CO2 levels coincided with the past 30 million years of Antarctica parked at the South pole and covered with deep ice. I attempted to download the temperature data and a message appeared that the site “download89.mediafire.com” could not be found. I’ll try again later. See how CO2 levels did not stabilize to roughly their current levels (300 – 400 ppm) until Antarctica swung into position at the South pole (40 mya) and glaciated over (40 -30 mya). Sunstroke, there is very little correlation between CO2 and temperature over this period. None really, unless one wants to invoke the proposition that CO2 lags temperature changes on all timescales. I think there is some correlation over the whole record and we may get to that in subsequent posts. But we have to start somewhere first and that has to be just putting the data together (potentially correcting it if there is an error). And it is very hard to find this data. Hansen has it and in his last publication he said we need to keep CO2 below 450 ppm or all the ice will melt and temperatures will skyrocket. Now we can say, hold on there, that is not what the numbers from these sources say. Bill, I attempted to download the temperature data and a message appeared that the site “download89.mediafire.com” could not be found. I’ll try again later. The download site is still working when I go to it. Anyone else having problems? The medium smoothed temperature line is at -3.5C at the beginning of the chart which signals that the recent period has been a cold ice age period – it is smoothed over roughly 3 million years. As the smoothing is damped down and as the resolution of the data goes higher, as in the Antarctic ice core and Zachos data, the current temperature estimates are set to +0.6C signaling the recent warming. One really needs have some smoothing of the data at different time resolutions to be useful. There is still uncertainty as well as one goes back in time so there should be some smoothing/averaging of the specific estimates at each time period. The human body functions at approximately 98 degrees F. That heat radiates from the body as proved by infrared video (and by snuggling). The quadrupling of humans over the past one hundred years times the square miles of the earths surface equals a total heat increase of 0.7C for the planet. Over that same period of time, the wealth of some nations has made it possible for more people to vacation at beaches. The cc’s of each person submerged into said oceans are equal to the sea level rise witnessed this past century. Add to that increasing population of whales and you realize that sea levels are actually falling. So what else can we study/change? It is linked at Climate Depot. It is unbelievably succinct. This John Reid guy should be getting a Nobel prize. More so than paleoclimatology would be rates of sea floor spreading. The faster mid-ocean ridges are making new sea floor, the higher the sea levels. Gee, would someone please explain to me why the dO18 amount does anything besides correlate with the number of costal thunderstorms in tropic regions? And how this can be extrapolated to TEMPERATURE? Maybe atmospheric ENERGY. But certainly NOT temperature. This is the “King’s New Clothes” of this work. And I’m a little boy. As if what happened millions of years ago really matters???? This blog seems to losing it’s purpose. We don’t and will never live in a world that existed millions of years ago. Wake up and drink some coffee already. Reply: I think the fact that the continents have move around so much over the millennia is often not considered sufficiently when trying to understand major swings in climate. If the pattern of ocean currents caused by tectonic movement stops the transport of warm water to the poles then greater cooling and freezing will occur making conditions more extreme. Thank you very much Bill for an interesting post, it’s very useful to have all the data together in one place. I look forward to learning more as this series unfolds. I support strongly Paul Dennis’ second posting about radioactivity and the explanation for shifting d18O fractionations over time. This is an interesting problem – the likes of Veizer have noted that shell fractionation temperatures show an increasingly hotter Cambrian ocean with values way above their typical values. As Paul suggests alteration/diagenesis can explain the shift. Alternatively some have suggested the isotopic ratios of the ocean was different in the early Phanerozoic compared to modern (SMOW) values, but whatever you do remove the radioactivity explanation from your stable isotope discussion. Regarding Paul Dennis’ and nvw’s comments, it is clear that I got that part wrong. The data does have to be detrended however. There are a lot of experts at this site about individual specific aspects of this. I guess I was also hoping that others would chime in as well and say this part should be done this way. Somebody has to put all this together. The issues surrounding global warming have been mostly theoritical to date; climate models and theory. We should go back to ground and look at what the actual empirical evidence says. What is the actual CO2 doubling in the PaleoClimate. The modelers always report that 3.0C per doubling is consistent with X simulation of Y geologic period. Then one looks at the actual Temperature and CO2 data (even the data they supplied) and 3.0C per doubling does not work at all. But to do that, you need to have reliable CO2 and Temperature estimates and it should hold together over the whole record. So please tell us where to draw the line between what really matters and what doesn’t matter. Causation means that everything is built on what happened previously. LOL, and we wonder why it is so hard to explain this all to some folks. re your comment concerning d18O and tropical storms. When talking about oxygen isotope data it is important to separate out whether one is writing about water oxygen isotope composition, or one is writing about the isotope composition of carbonates. Most of Bill’s data base and discussion is about marine carbonate isotope composition. Your comment relates to the isotope composition of precipitation. In tropical areas there is little, or no correlation between temperature and the precipitation isotope composition. There is, however, a strong ‘amount’ correlation where the oxygen isotope composition of the rainfall is correlated with the amount of rainfall. At mid to high latitudes the isotopic composition of precipitation is strongly correlated with temperature. This is best understood in terms of fractional distillation and the temperature dependence that is measured can also be calculated closely using a Rayleigh distillation model and adiabatic cooling of an air mass. When discussing carbonates (as in Bill’s data collection) the temperature signal is caused by the temperature dependence of isotope partitioning between sea water and the precipitating carbonate. This fractionation has been both calculated ab initio, experimentally calibrated and checked against field samples. If one knows the sea water composition then it is possible to use the isotope composition to calculate temperature. Of course sea water composition is not constant over geologic time. On short time scales the composition is largely regulated by the volume of continental ice sheets. Large volumes of ice during glacial periods results in positive shifts in the sea water oxygen isotope composition (ice volume effect). This is because isotopically light water, depleted in 18O, evaporates from the oceans and is ultimately locked up in ice sheets. On longer time scales the isotopic composition of the ocean is buffered by hydrothermal circulation of ocean water at mid-ocean ridges. The question that remains to be answered is how this has varied over time. i.e. has enahnced rates of sea floor spreading at some periods resulted in a changed oxygen isotope composition. There has been some work based on ophiolite isotoep composition to try and answer this but the results are not especially convincing. nvw’s comments about Veizer’s observation of apparent high Cambrian ocean temperatures are correct. This is due to the fact that high temperature recipitation from sea water has an isotopic signature similar to that of diagenetically altered sediments. To resolve the issue one tries to isolate samples that have not been altered. Hence my comment about using micrsocopy, xrd, cathodoluminesence etc. to identify signs of alteration. These might include evidence of aragonite to calcite phase changes, the dissolution of high Mg calcite etc. I have agreed to write a 101 primer on isotopes and palaetemperatures for WUWT but it will be a week or so before I can finish it. Paleo-Sciences have long been a love if mine. You have presented before us a summery of what we think we know. By compiling the data of real researchers we can extract ourselves from the pseudo science of the current crop of spin merchants and study the things that confound us. We should drag ourselves away from the politics. You have made a step in the right direction. Thank you. About the possibility of measuring sea levels in the geologic past. What is measured is really the amount of continental onlap, which can be converted to sea level under the assumption that the continents on average have remained at approximately the same level. This is probably true as a first approximation since the data from different areas and continents agree fairly well, but does not apply everywhere and always. For example everybody agrees that sea level was very high almost everywhere in the late Cretaceous. However in Australia sea levels went down during the same period. The only reasonable explanation is that the whole Australian continent rose at this time, for reasons that are not well understood. The relative sea levels, i e that sea levels went up or down x meters during a specific interval are fairly easily derived from sequence stratigraphy as has already been pointed out, and these data are more reliable than the absolute levels which are only approximate. Exact values are not possible because of tectonic movement. Even the almost invariably quoted 4-6 meters higher sea level during the previous interglacial only 120,000 years ago is very shaky when you dig into the details, it is just as likely to have been only 2-3 meters. Perhaps as a geologist I have an inflated opinion as to the importance of geology 🙂 but the dataset you have collected and the arguments it contains is one of the most important constraints over the role of CO2 and global warming. These levels have not caused “run away” temperatures. These levels have not caused permanent ocean acidification and the complete extinction of marine invertebrates. Will the climate be warmer with higher CO2 – probably. Will that be the end of the world – unlikely. Here is another example of where one could go with this. This is a chart of the temperature estimates of the last 3 ice ages, together with what 1.5C per CO2 doubling and 3.0C per doubling results in. Also included is the global solar irradiance estimates from Berger and Loutre 1991. CO2 can only explain a small part of the temperature changes. The Milankovitch Cycles vary the amount of solar energy received at high latitudes but the global solar irradiance does not predict that ice ages should occur. There is another critical component to the climate equations that is not taken into account enough and that is the Albedo of the Earth. What is the actual CO2 doubling in the PaleoClimate. The modelers always report that 3.0C per doubling is consistent with X simulation of Y geologic period. Then one looks at the actual Temperature and CO2 data (even the data they supplied) and 3.0C per doubling does not work at all. That is because CO2 is usually not the only forcing acting on the system. For the glacial – interglacial cycles, as you point out, the change in albedo due to ice sheet and vegetation changes is important. (The Milankovitch Cycles are the “trigger” in the sense that they are what cause the ice sheets to start growing or melting, but they don’t contribute significantly to any global annual mean forcing.) The correct way to do the calculation is to add up all of the forcings and divide the temperature change by those total forcings. That gives you a climate sensitivity in C / [W/m^2]. Then to convert that to a climate sensitivity for a doubling of CO2, you multiply by the radiative forcing due to a doubling, which everyone agrees is around 3.5-4.0 W/m^2. Well, as your plot suggests, the albedo part is the largest contributor to the forcings. What is your evidence that it “is not taken into account enough”? Nicely presented work. However in the current GW debate the time scales that we are looking at here make all this work basically irrelevant. Our human endeavor started a mere 100.000 years or so ago and what matters for our survival are not comparisons with times tens of millions of years ago. We will not have the time to ‘evolve’ or wait for the ecosystem that supports us to ‘evolve’ to conditions much different to the current if the change is fast. What matters is what will happen in the next few human generations. The consensus at current that average temps will increase by as much as 4 Deg this century alone is the problem. It is the speed of the change that is the issue. Such change will rapidly change the ability of the ecosystem to support our current requirements for agricultural output while sea level rises would make massive disruptions of the living arrangements of large parts of our civilization inevitable. The resulting misery for billions of people is the issue. It is irrelevant in this discussion that Earth would eventually evolve an ecosystem that considers a much warmer world ‘normal’ again – give or take few million years…! This is excellent. May I suggest if you take this forward, and I hope you do, that the geological chronostatigraphic ages are added to the x axis, as well as the millions of years BP. It would be very helpful for many of us more familiar with the standard geological convention. Valid queries have been posted about sea level reference base. There is a considerable published literature on interpreted sea levels through geological time built by iterative observations of transgressions and regressions but in my view, at the end of the day, relative sea level has to be treated as a best estimate qualitative, rather than precise, figure. What is the Albedo estimate during the PETM? What is the Albedo estimate at the last glacial maximum? It is 0.298 today. Ready, set, go … Makes a really good start point — Great post. Look forward to the follow on postings. The point is that nobody knows what the weather was 75 million years ago. We may calculate what the “climate” was at that time. If that is the case then we should also just look at our current “climate” in those terms and a generation or two is not even a blip on that screen! Bill: Not sure if an estimate has been made for the PETM. For the Last Glacial Maximum, the estimate of the change in forcing due to ice sheet and vegetation changes from Hansen is -3.5 +-1.0 W/m^2 ( http://naturalscience.com/ns/articles/01-16/ns_jeh2.html ), which I guess would correspond roughly to a change in albedo by 0.01, e.g., it would be 0.288 rather than 0.298. 1. Exactly what “consensus” ? Where is your evidence ? 2. Fossil fuel burning increased about 1200% after 1945. Compare the rate of temperature rise between 1910 to 1940 with subsequent rates of temperature rise (and fall). Exactly where is the increased rate of warming caused by fossil fuel burning supposed to be ? Bill’s excellent article shows that mammals have lived successfully with CO2 levels of 2500ppm and temperatures 8 degrees higher than currently. So we’re all gonna die if we don’t get to 350 ppm CO2? Marine records of sediment oxygen isotope compositions show that the Earth’s climate has gone through a succession of glacial and interglacial periods during the past million years. But the interpretation of the oxygen isotope records is complicated because both isotope storage in ice sheets and deep-water temperature affect the recorded isotopic composition. Separating these two effects would require long records of either sea level or deep-ocean temperature, which are currently not available. Here we use a coupled model of the Northern Hemisphere ice sheets and ocean temperatures, forced to match an oxygen isotope record for the past million years compiled from 57 globally distributed sediment cores, to quantify both contributions simultaneously. We find that the ice-sheet contribution to the variability in oxygen isotope composition varied from ten per cent in the beginning of glacial periods to sixty per cent at glacial maxima, suggesting that strong ocean cooling preceded slow ice-sheet build-up. The model yields mutually consistent time series of continental mean surface temperatures between 40 and 80° N, ice volume and global sea level. We find that during extreme glacial stages, air temperatures were 17 ± 1.8 °C lower than present, with a 120 ± 10m sea level equivalent of continental ice present. 1. Eccentricity of the Earth’s orbit. It has roughly the same period as the recent ice ages. 2. Absolute irradiance of the sun for the last 500M yrs. It has gone up 5% (linearly, I think) while CO2 has gone done in very rough proportion to total solar output. And yet, the Earth’s temperature has varied up and down independent of the solar output but always within roughly the same limits. Clearly, a strong negative feedback mechanism is at work which can discard or absorb solar energy as needed to maintain the system within is historical temperature range. Carbon dioxide is only a part of this feedback system if it is not a response instead. 3. A wild one: One paper I read plotted “number of species vs time” and found a rough 64Myr cycle. That in itself is interesting. How does it compare the other parameters shown in your graph? Re: Bill Illis comment to me. Reread what I said. I did not compare temperature to CO2 — which apparently you thought I said. I said look at the relative stability of the CO2 record since Antarctica parked on the South Pole. For approximately the past 25 million years the CO2 level has not (from the graph) changed much. Where is that consensus? And how does it account for the non-temperature rise for the first decade? gtrip: The point should be that you can’t accurately predict what the climate will be like unless you understand how it got the way it is. And the point is that there is no way that you, I, or anyone, can know how our current climate came to be, especially by studying the climate of 70 million years ago. To think so is folly. If you mean to “know” in the complete extent, perhaps not. But you can learn important information even when your understanding is not complete. Of course, information from the last few decades may be more relevant to understanding today’s climate than information from 70 or 700 million years ago. That doesn’t make the information irrelevant though. The OP seems to be taking the tack of providing information on what we “think” the global data set is telling us and plans to move to more human time scales in the future. Is it you point that it isn’t worth describing and discussing? Or are you only interested in the last 6000 years? Gacooke (15:52:45) : are you only interested in the last 6000 years? That is a statement (accusation) of a childish mind. When discussing past climate, most scientists use a scale with benchmarks in the thousands or greater. You seem to think that scales using years as a benchmark are comparable. If one were to look back at our current climate 70 million years from now it wouldn’t even be noticed. Just because someone said the sky was orange doesn’t mean we have to come up with numerous studies to prove that it is in reality blue. Well, I’ve reread your posts, gtrip, and beyond the idea that you see no value in the material presented in this thread, I am unable to divine your point. I find this material useful and informative on a number of levels. The link you provided was to an interesting screed of a typical AGW skeptic. Thanks for that, anyway. I’ll make no more “childish” guesses about your point of view. Very nice. Especially that data all in nice Excel form. Thanks. gtrip (16:17:49) That is a statement (accusation) of a childish mind. I was puzzeled by this. Now I get it. I was referring to the time since the start of the current sea level high stand at or around the beginnings of recorded history. Nothing more. Don’t ever take a college-level course in geology, unless you like getting “F’s”. The geological processes of the modern world have been the same geological processes that occurred throughout Earth’s history… And, despite using different materials, the geological processes on Titan are remarkably similar to those of Earth. The Earth doesn’t all of the sudden start behaving differently than it has over the last 600 million years, or so, because mankind increases the global carbon budget by, at most, 3%. Anthropogenic CO2 emissions are, at most, a rounding error to the Earth’s dynamic climate. Hey Dave. I’ll add that the study of geologic information reveals a mixture of uniformitarian and catastrophic processes. Positive feedback tipping points do exist. I know of no reliable study that demonstrates a catastrophic tipping point will be reached by increasing atmospheric CO2 by a couple of hundred parts per million (v/v). The argument on this discussion is simply this: Nobody disputes that Earth has gone through huge climate swings in the past. And given slow rates of change (say 4 Deg in 10.000 years) we can likely adapt. But 4 Deg in a century would if it happens constitute a catastrophe for the current human endeavor and the current ecosystem. The work presented here, while nicely compiled, is irrelevant in the current discussion weather we will see warming to this extent due to human activities or not. And if we do, what if anything we should do about it. The argument of the author is a bit like a feel-good one: Earth has ‘coped’ with more extreme temperatures and sea levels in the past – ergo she will be all right whatever happens. This of cause is nonsense within the horizon of our own human civilization and especially at our present situation on an exponential overhsoot trajectory in population numbers and resource depletion. I put sea level estimates into the datasets primarily because most people don’t know this data is available. That and it can provide some indication of climatic conditions. The Phanerozoic Sea Level Cycle chart linked to by Dave Middleton above is available in the sea level spreadsheet in higher resolution as the Exxon/Vail sea level curve. While this is an older dataset and was really the first one (and even shocked some that such information could be put together), some people still consider it to be the most accurate. The real impact as far as the climate is concerned is, can we use sea level to estimate temperatures or general climatic conditions. Not really since it varies by a large amount even depending on continental drift and other conditions. What it does help with, however, is explaining why certain periods were as warm or as cold as they were. The Cretaceous period, for example, around 100 million years ago was very warm/hot. Shallow oceans covered the interior of North America and all of Europe and one could even imagine a warm shallow ocean current flowing from the Gulf of Mexico to the Arctic Ocean. There was no sea ice at the time and Dinosaurs even lived in Alaska at 75N. It was warm. CO2 levels were not that high and can’t really explain the temperature conditions. But the Albedo of the planet was certainly lower at the time given there was no ice and an additional amount of shallow ocean (which has a lower Albedo) covered large parts of the continents. It can also help with certain cold periods in that sea level falls as more ice is locked up on land so it provides some indication of when those periods occured. Yes, we know about realclimate. Most of us sharply dispute that temps will change 4C in a century because we do not accept the current positive feedback theory as realistic. The argument of the author is a bit like a feel-good one: Earth has ‘coped’ with more extreme temperatures and sea levels in the past – ergo she will be all right whatever happens. Actually, that is not what the post says. It does say there at least 3 mass extinction events that might be linked to rapid changes in the climate. The question is, is CO2 also linked to those events. Well, No. CO2 doesn’t seem to be involved at all. There is not a single instance of major climatic change or extinction events linked to CO2 at all. I didn’t see that anywhere in the OP. Perhaps you can quote where that was said? “This post is the first of what will likely be a series on the PaleoClimate. I saw no other statement of purpose. Ascribing your convictions to a single political climate blog is rather restricting. There are broader horizons out there. If population growth and resource depletion are the problems, then they should be confronted. Not the scapegoat CO2. As the sea floor moves from the mid-ocean ridges it cools and becomes more dense and it sinks. Therefore a rapid spreading rate is postulated to result in a sea floor that is higher than than it would be if there were a slow sea-floor spreading rate. In other words the bottom of the basin rises and the sea level also rises. The rapid spreading rates as the Atlantic Ocean formed are thought to be the cause of the higher sea levels in the Mesozoic and the resulting North American Inland seaway. Thanks to E. J. Mohr (18:47:22) for your response to Dave Middleton (17:36:38)! Bill Illis: I see no proof whatsoever from these data that show that CO2 is not a climate forcing GH gas and this article while well presented is not adding to that discussion. What the press and the general public however takes from discussions like this is the simplified message: ‘Its all natural, the Earth was once already much warmer and coped with high CO2 concentrations, so lets carry on with business as usual’. And that I would think is the intended outcome of this blog and probably some of the commentators here. Gacooke: I do not subscribe my convictions to a single climate blog and I suppose neither do you. Doing so would be nuts. But I find it tiresome to rehash all the arguments again and again and http://www.realclimate.org/ is doing in excellent job in debating and summarizing the issue as I see it. evanmjones: The events of the Younger Dryas are very interesting indeed. What exactly is your argument though in regards of today’s climate debate? Because the Earth coped with rapid swings in the past (a fast end to a glaciation period) we today will be fine with a 4Deg temp rise in a century? I miss the connection. For our civilization and the debate what we should do about our CO2 emissions the record of the past is particularly important over the last several hundred thousand years. I’m a lukewarmer. My current position is that there has been some warming over the 20th century, perhaps exaggerated by a number of measurement biases. I believe some of the increase is natural and some anthropogenic. I believe some of the anthropogenic increase is due to non-CO2 issues such as deforestation, land use, and soot. Even if current trends continue, we can expect less than a 1C rise by 2100. Wild swings are not impossible, but instead of positive feedback from ambient vapor, we seem to be observing negative feedback from increased albedo from increased low-level cloud cover. As for a 4C rise (not good), I think a 4C drop would be much worse. Anything is theoretically possible. But either of those seems quite unlikely. As for the future, we must develop as quickly as possible, creating as much wealth as possible along the way, while avoiding direct environmental destruction (but not worrying about CO2). If we do this, mankind will become incredibly powerful and will have problem-solving capabilities (environmentally and otherwise) we cannot conceive of today. Meanwhile, we must not kill the golden goose. Samoht, the intended impact is to demonstrate what the empirical evidence says. There is currently climate models and theory. It is clear that CO2 is a greenhouse gas and that it has a radiative impact on surface temperatures. How much is the question. Is it 3.0C per doubling, 6.0C per doubling or is it less. Do you not want to know what has happened historically per CO2 doubling. I always have. Whatever comes out of it doesn’t automatically mean we should build coal-fired power plants every 100 kms. But it will provide another line of evidence which could support or not support the assertions of the climate models. CO2 concentrations vary between 200-600 ppm from the surface of the Earth to a few hundred feet in altitude. That is a hell of a variance in concentration. Is that why the sensor that is used at Mauna Loa is at the altitude that it is? Has anyone else read this or know of this result? If so, it is an amazing contradiction to the computer models that model a uniform distribution of CO2. I trust the results laid out in this book as ALL of the absorbers in the infrared were extensively studied back then in order to allow for the design of the heat seeking missiles that the U.S. has built and used with such success for several decades. Does it have a name, ISBN, etc. Perhaps Google has indexed it. Perhaps it is (partially) available on line. Others see the Golden Goose as money, wealth etc… I am septic there. As far as I can see there is overwhelming evidence that the quest for exponential growth of power, wealth and population has already killed the goose that laid the golden eggs. In the end Maltus will be proven right, as unfortunate as it may be. Bill Illis: Yes I agree that we need to know what a doubling of CO2 will do to our climate. PaleoClimate studies are important in that quest. I hear though all to often the false conclusions drawn from this in the public debate to which I took reference. I am glad we agree on CO2 being a climate forcing agent. But I think the high Cretaceous sea level was more a function of the distribution of land mass than rate of sea floor spreading. Sea level was fairly stable from the early Pennsylvanian through the end Jurassic; then rose rather abruptly during the Cretaceous. The modern Atlantic Ocean basin began to open in the Triassic and has been spreading ever since. As I said before, tectonics isn’t my specialty. Is there any evidence that the spreading rate was faster in the Cretaceous than it was before or after? There are useful analogies throughout the entire Phanerozoic Eon (the last ~600 million years). However, you are correct that the upper Pleistocene and Holocene are the most relevant because the tectonic and orogenic changes over the last 800,000 years, or so, are relatively minor. The relationship between greenhouse gases and climate during the Pleistocene and Holocene should hold true in the modern world. The last four Pleistocene interglacials were warmer than the current interglacial. Yet, if the ice core data are correct, all three interglacials had far lower CO2 concentrations. In each and every Pleistocene glacial-interglacial cycle recorded in the ice cores, delta-T always preceded delta-CO2. So the ice core data do not support CO2 as a Pleistocene climate driver. There is an alternate or supplemental way to measure past CO2 changes: Fossil plant stomatal density or Stomatal Index (SI). The plant stomatal CO2 reconstructions indicate that CO2 levels of 320-390 ppmv have been relatively common during warm periods in the Holocene and recent times. The SI data show that the 20th century increase in atmospheric CO2 was no different than the Roman Warming (300 AD to 400 AD). Furthermore, the warming of the late 20th century was no different in magnitude or rate of change than the early 20th century warming, the Medieval Warm Period or the Roman Warming. Simply put: The climate and atmospheric changes we are observing today are not anomalous when compared to past changes. There is simply no evidence that mankind’s 1% to 3% contribution to the Earth’s carbon budget over the last 150 years has done anything to measurably alter the Earth’s climate and the geological history Phanerozoic Eon provides little support to the notion that CO2 has ever driven climate change at any time in the last 600 million years. There are many publications that show CO2 concentrations many times higher than ML. Even on ML itself, the data were cherry-picked when the winds blew from certain directions because the low-lying habitated ground had much higher levels. There’s a European paper I read a year ago that has CO2 at a few thousand ppm above some low altitude land, easy to find with a Net search. Remember that some “greenhouse” explanations put the greatest interaction effect at just above the ground or sea, just where the high CO2 might lurk. So the concentration at ML is a bit academic when modelling the process. It’s often stated that CO2 is a well-mixed gas. I therefore infer that the atmosphere hosting the CO2 is well-mixed. Some estimate that there is a travel time of a couple of years from Barrow Alaska to the South Pole. So how does a model explain the global high temperatures of the year 1998 happening inside a year? Did the CO2 at near surface all over the globe suddenly increase a lot in 1998 and then fall back to 1997 levels? Dreamin’. Very nice post; a real contribution to general understanding of paleoclimate. I hope you follow up with an albedo versus climate post soon, since this will be even more relevant to the current and near future climate. You two have combined to clearly define the most vexing and fundamental issue of global warming battles. It is (as Freeman Dyson has noted) in reality a disagreement about morality as much as one about science; a confrontation between “humanists” and “naturalists”. If we could absolutely know the sensitivity of the Earth’s climate to greenhouse gases, that would not resolve the basic moral question: is it better to maximize human quality of life, or to maximize the quality/species diversity of the natural environment? For example, suppose that 20 years from now climate science really is “settled” in a technical sense, and just about everyone agrees that doubling CO2 would increase average surface temperature buy 1.7+/- 0.15C, and further suppose that the resulting impacts of that temperature increase were pretty well defined in terms of seal level rise, habitat losses, rainfall patterns, and species endangered by the warming. I submit that even with the science essentially “settled”, there would still be a fundamental moral/philosophical disagreement between people about the relative importance of this warming. It will be (and should be!) a question ultimately for the ballot box, not for science. My observation is that the “humanists” tend to discount scientific data which indicates greater warming, while “naturalists” tend to discount scientific data which indicates lower warming. My sincere concern is that serious work in climate research is tilted (with the best of intentions) heavily toward exaggerated climate sensitivity by a very strong “naturalist” viewpoint held by most researchers in this field. The more extreme the predicted effects of GHG’s the better they seem to like it, since this shifts the political balance. (How many times have we seen “It’s much worse that we thought!” headlines when a paper has been accepted for publication? How many times do we see similar headlines for papers on chemical reaction mechanisms? ) If you tell people New York City may be under water by 2109 (even if it is complete nonsense), then they are more likely to vote to greatly curb CO2 emissions, regardless of the negative economic impact that curb would have. I do not want the moral/philosophical viewpoint of the climate science community corrupting the science so as to influence what is at bottom a moral, philosophical, and ultimately, a political question. Everyone has the same moral standing as a climate scientist in determining what political course should be taken on GHG emissions, and we all deserve an unbiased scientific evaluation of future warming as part of the input to make that determination. Climate scientists need to recognize this, and keep their thumbs off the balance when global warming is politically weighed. So how does a model explain the global high temperatures of the year 1998 happening inside a year? Did the CO2 at near surface all over the globe suddenly increase a lot in 1998 and then fall back to 1997 levels? The high temperatures in 1998 were caused by a very strong El Nino (on top of the general ~0.15 C/decade warming trend due to greenhouse gases). CO2 concentrations vary between 200-600 ppm from the surface of the Earth to a few hundred feet in altitude. That is a hell of a variance in concentration. Is that why the sensor that is used at Mauna Loa is at the altitude that it is? There is more variability near the surface because of sources and sinks of CO2. This is especially true in industrialized areas…In fact, I am not sure how much variability there is due to purely natural causes although there probably can be some. However, in the mid-troposphere, the concentration is much more uniform: http://geology.com/nasa/carbon-dioxide-map/ (Note that the entire scale extends over only 10ppm.) The concentration that matters most from the point of view of the greenhouse effect is that away from the surface (in the mid- and upper-troposphere). (1) Reid doesn’t seem to have an understanding of the radiative physics of the greenhouse effect that was worked out in detail about half a century ago and is agreed upon by pretty much every serious scientist, including skeptical scientists like Richard Lindzen and Roy Spencer. (2) There is in fact quite a bit of evidence supporting the water vapor feedback. See here for discussion: http://www.sciencemag.org/cgi/content/full/323/5917/1020 Roy Spencer is actually disputing the cloud feedback, which is related to the hydrological cycle…but the cloud and water vapor feedbacks are usually distinguished. I am also not sure where Spencer is with the cloud feedback these days; he had originally suggested that the climate sensitivity for CO2 doubling could be as low as 0.7 C (which implies net negative atmospheric feedbacks) but I noticed in his latest unpublished work now talks about a value of 1.6 to 2.0 C ( http://wattsupwiththat.com/2009/10/04/spencer-on-finding-a-new-climate-sensitivity-marker ), which is moving up toward the IPCC range of 2 to 4.5 C.
(3) There are many ways in which AGW is tested, both the various pieces of the puzzle (such as the water vapor feedback), the climate sensitivity (such as from the response to Mt. Pinatubo eruption and the estimated temperature and forcings at the last glacial maximum as compared to now), and the basic workings of the radiative greenhouse effect (see http://www.skepticalscience.com/saturated-co2-effect.htm for references). Interesting that the 250 million year temperature peaks are spaced at the proposed time required for us to complete one trip around the galactic center. The increased temperature suggests our travel path is maybe an ellipse? I don’t think anyone believes the global temperature change was anywhere close to that. Besides there being polar amplification, I think that these sudden climate shifts are generally thought of having caused warming in some places and cooling in others, quite possibly with very little change in global temperature. So you seriously propose that adding something like 20 million square kilometers of continental icesheet, replacing most of the (low albedo) forests of the world with (high albedo) steppe, turning all (low albedo) ocean less than 120 meters deep into (high albedo) land, dramatically increasing the area of winter snow and sea-ice, and greatly increase the quantity of atmospheric aerosols only changed the Earths albedo by 0.01? Well, if you are right, then you can say goodbye to those long-term albedo effects of the current climate change so beloved by warmists, they will be utterly insignificant. Would you please specify those areas where Younger Dryas is supposed to have resulted in warming and the inception of the Holocene in cooling? Also if the end of Dryas 3 caused “very little change in global temperature” it means that we are still living in a glacial climate since that was the end of the last glaciation and there certainly hasn’t been any major warming since then. Try to talk some sense man. You really should think before adding a link like that. It has a spectrum that is supposed to show that the Earth’s IR brightness temperature has gone down since 1970 in the absorption bands for CO2 and CH4. However if that spectrum is correct, it also completely kills the water vapor feedback theory since there is absolutely no trace of any strengthening of the H2O absorption band between the CO2 and CH4 bands. Re the globally hot year 1998. The question was not whether an El Nino happened. The question was, how did the temperature all over the globe go from a near-decadal average in 1997, to a hot 1998, then back to average in 1999, over sea and land? What mechanism other than an irradiance mechanism can act globally in such a short time, given what we think we know of air circulation velocities? The problem is to explain the irradiance mechanism. To say it was heat from an El Nino cause is shallow and trite. This is quite an important question in terms of allowing or disallowing many theories of how energy is redistributed and I hope you give it some serious thought. The thread is getting close to winding-down now. Thanks for all the comments everyone. Before we move on in the series, I would like to see what Paul Dennis writes about the isotope data and see if any changes are required. As I’ve noted, one needs to have a reliable set of temperature and CO2 estimates to go forward properly. As I’ve also noted, I don’t think any changes/corrections can have a large impact on the temperature estimates. – the recent ice age cycles starting 2.5 million to 3.0 million years ago. The next section may just focus on the recent periods including the ice ages and up to about 40 million years ago, when Australia and South America completed their separation from Antarctica. Do you have a link on that data? Would love to read it. You can read the original paper to understand how they dealt with the water vapor aspect. The thing about water vapor is that, unlike these other molecules, it is not well-mixed in the atmosphere; in fact, its concentration varies considerably from place-to-place both in the horizontal and vertical directions. So, it would not be as easy to measure the change in outgoing radiation due to it in the way that they did for CO2 and CH4 here. Where is your evidence that man is likely to cause this ? Yes, lots of evidence for the rates of sea floor spreading. You can just look at the age of the sea floor and the distance from the ridge and you have your rates. Rates of sea floor spreading (and the better thing to consider is area of new seafloor production) were increasing at the start of the Cretaceous and really start to pick up towards the middle of the Cretaceous. We have the opening of the south Atlantic at this time as well as rapid production in the paleo-pacific to replace the the quickly subducting Tethys. I am not entirely sure what you are referring too when you mention the “distribution of land mass” and about. I am not sure if you are talking about the arangment of the continents or the current configuation of the various plate margins or what. If you are refering to tectonics, it is certainly a good thing to consider because tectonic forces can and do cause the “warping” of plates. As plates are colliding, those forces can be translated through the plate and cause large depressions. In fact, that is part of what lead to the formation of the interior Cretaceous seaway on North America. But that just made the interior Cretaceous seaway bigger than it would have been. Sea level was high all over at that time, regardless of the configuration of plate margins. Passive margin or active, almost all continents had shallow interior seas from the middle to late Cretaceous. So the result actually suggests higher brightness temperatures in the H2O band and hence less water vapor in the atmosphere in 1997 than in 1970. Furthermore they got their results by taking the difference between two apparently rather noisy datasets obtained by different instruments that could not be calibrated against each other, the classical method of obtaining spurious results. Could you provide a higher resolution version of the final graph detailing; temperature, CO2 and sea level over time. A Google search of the authors and titles should return the links. Most of the Science papers are available with a free AAAS subscription, the PNAS paper is free and Kouwenberg’s thesis is freely available. The rest are behind paywalls. Here is a higher resolution chart of temperature, sea level and CO2. Note that the CO2 to temperature comparison should be thought of as per doubling of CO2 given its logarithmic nature. 4,480 ppm is 4 doublings, 2,240 ppm is 3 doublings from 280 ppm. The evolution of multicellular life has actually led to a long-term consumption of the Earth’s reservoir of atmospheric CO2 that had built up over Precambrian and earlier times. If you performed a linear regression on the Phanerozoic CO2 data series, it would show that atmospheric CO2 is rapidly (geologically speaking) approaching the x-axis (zero). If mankind wasn’t burning fossil fuels, would the CO2 level bottom out at 280 ppmv for ever? Would it decline to zero? Would it cyclically regenerate like it did in the late Permian to Cretaceous time? Joel, many of your responses are reasonable, but this one’s in the 5th dimension. You’re shooting yourself in the foot w/comments like that. Reminds me of the .01C/century “estimate” of UHI effects for the global surface temp record. Rather sad. A lot of that increased reflectivity is at high latitudes where the sun is generally low on the horizon. The surface albedo of the earth is currently something like 0.09 (with the rest of the albedo of ~0.3 being due to clouds). So, an increase of 0.01 would represent about a 10% increase. The same climate models that project the future warming have been used to simulate the LGM and have generally gotten coolings in-line with what the available evidence suggests they were. The change in albedo from the LGM to now was still the largest estimated forcing. All because it was relatively small as a percentage of the total solar radiation received does not make it trivial. And, my impression is that the albedo contribution to the predicted warming globally for the next century is not that great … although it can be fairly large on a local scale. Would you please specify those areas where Younger Dryas is supposed to have resulted in warming and the inception of the Holocene in cooling. Also if the end of Dryas 3 caused “very little change in global temperature” it means that we are still living in a glacial climate since that was the end of the last glaciation and there certainly hasn’t been any major warming since then. Try to talk some sense man. The effects of these abrupt climate changes were global, although out-of-phase responses in the two hemispheres (Blunier et al., 1998; Landais et al., 2006) suggest that they were not primarily changes in global mean temperature. The highest amplitude of the changes, in terms of temperature, appears centred around the North Atlantic. The references cited are: Blunier, T., et al., 1998: Asynchrony of Antarctic and Greenland climate change during the last glacial period, Nature, 394, 739–743 (available here: http://www.climate.unibe.ch/~stocker/papers/blunier98nat.pdf ). Landais, A., et al., 2006: The glacial inception as recorded in the NorthGRIP Greenland ice core: timing, structure and associated abrupt temperature changes, Clim. Dyn., 26(2–3), 273–284. I understand your concern about when we did then warm out of the glacial period and I don’t know the answer to your question. One possibility could be that the Y-D did not represent a return to the glacial period in terms of global temperature…i.e., that global temps remained fairly elevated. Alternatively, it could be that the warming at the end of the Y-D occurred very rapidly in Greenland but much more slowly on a global scale. I don’t know…or even know how much is known about this. Let’s take Hansen’s ice age forcing estimate and put some perspective to it. If one used the Stefan Boltzmann equations for these forcings. 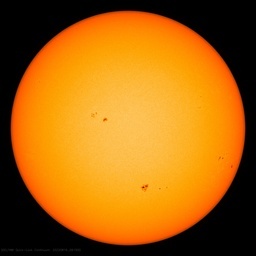 => Today = (1366 * (1-0.298)/4/Stefan Boltzmann Constant)^0.25 = 255K (the estimated solar irradiance only temperaure). … or just a reduction of 0.9C due to Albedo in the ice ages (far, far too low). So you can know that Hansen’s -3.5 watts is just sliced and diced in a climate model and the standard way of thinking about how solar irradiance warms/cools the Earth is not taken into account. A question that has interested me and I have been unable to find an answer to is how the irrigation of surrounding land from melting glaciers were incorporated into the models when determining paleoclimatology. Should this irrigation cause regional warming then, in my mind, you would have a higher climate sensitivity when the glaciers were actually in the process of melting and this sensitivity would slowly be reduced as the source of the irrigation decreased. I was hoping since many with an interest in paleoclimatology were reading this post that perhaps someone could point me to a paper on this topic. Thanks. … or just a reduction of 0.9C due to Albedo in the ice ages (far, far too low). What you point out here is that in the absence of any atmospheric feedbacks then the proposed forcing is too small to account for the changes in climate. That is indeed correct, which is why the best estimate of forcings and temperature changes from the LGM strongly implies that the atmospheric feedbacks (i.e., all the feedbacks beyond the direct radiative feedback due to Stefan-Boltzmann) must be positive. Or it means that Hansen, the IPCC and you are grossly underestimating the effects of albedo. The validity of strong positive feed-backs rests (in large part) on the accuracy of the albedo effect of man-made aerosols. Without substantial “cancellation” of the pretty well know radiative forcing from well mixed GHG’s in all climate models, the sensitivity to radiative forcing must be substantially lower than assumed by those models (that is, in the absence of strong aerosol cancellation, the feeds-backs would have to be much smaller). Since both estimates of ice age albedo and man-made aerosol effects are highly uncertain, equally uncertain is the claim of strong positive feed-backs and high climate sensitivity. Is there a significant warming effect from well mixed GHG’s? Almost certainly. Are extreme temperature increases as projected by climate models certain? For sure they are extremely uncertain. The wide range of climate sensitivities in the various IPCC climate models ought to give you pause Joel Shore. They certainly are not all correct, and their wide range of implied climate sensitivities means that most of them must (of course) be quite far away from correct about sensitivity. I suggest that you consider the most basic conclusion one can draw for the wide range of model sensitivities: these models most certainly could all be quite wrong about climate sensitivity. Steve: I agree that there are still quite large uncertainties on climate sensitivity…and also the possibility of some surprises in store! Unfortunately, those uncertainties go in both directions (and, in fact, estimates of the probabilities for climate sensitivity tend to be pretty skewed, with a sharper cutoff on the low side and a long tail on the high side). I think that the probability both that climate sensitivity turns out to be low and that ocean acidification turns out to be no-big-deal is pretty small. We might be so lucky, but it would be quite foolish to bet on it. The ocean acidification argument is so over-played. The Cambrian explosion of (marine) life occured when CO2 was 7,000 ppm. Corals evolved when CO2 was 20 times higher than today. Carbonate-shell based organisms like Trilobites and Ammonites (as big as 8 feet across) dominated the world’s oceans when CO2 was 20 times higher than today. The uncertainties of the temperature impact per doubling cannot go higher than 3.0C per doubling. Temperatures would have been 20C in the distant past at the upper uncertainity limit of 4.2C per doubling when maybe 8.0C to 10.0C higher are the estimates. The greenhouse effect is 33C. 11 halvings of CO2 puts CO2 level at effectively Zero – so even mathematically, it cannot be higher than 3.0C per doubling. The ‘bet’ that you frame does not reflect the situation. The bet is to expend a lot of (very real) capital today, and in the process reduce global wealth development, in the hope of reducing projected warming, which may very well not be nearly as extreme as projected. A much safer bet is to let the dust settle long enough that the range of uncertainty is much lower…. Let say until all the models all pretty much agree on the sensitivity, that they can make reasonably accurate decade length estimates of ocean warming in response to CO2, and the uncertainty in aerosol effects are reduced by a factor of three to five. There really is a sharp cut-off on the low sensitivity side: close to the SB sensitivity of ~1C per doubling of CO2. There is no surprise here, since there is essentially no upper limit to the net sensitivity you can postulate based on a positive feed-back value that approaches the thermal run-away point, while it’s a bit mad to suggest that SB doesn’t apply to the Earth. With regard to ocean acidification, I have taken the time to read several studies on the effect of increasing CO2 on marine life. The reports of (future) coral deaths are (to paraphrase Mark Twain) greatly exaggerated. In fact, most credible studies seem to show little or no negative effect on corals until at least 500-600 PPM CO2, and only somewhat slowed growth above these levels, not coral death. Aragonite shelled organisms in very cold water really would be in trouble (not able to form shells) when CO2 reached ~1300 PPM, but no credible projection shows this level ever being reached during mankind’s age of fossil fuels. I do believe that most of the uncertainty about GHG warming effects will be eliminated in the next 10-15 years, if only because there will be a lot more data available to validate or invalidate model projections. (And, yes, I do expect that the existing models will be shown to substantially overstate future warming, though I can’t be certain.) Modest steps to encourage emissions reductions, like replacing many coal fired power plants with nuclear, minimizing non-CO2 GHG emissions, and applying a low, uniform, across-the-board carbon tax probably make sense at present. But policies that are both useless and destructive (like Waxman-Markey C&T) or extremely draconian (like trying to mandate 50% CO2 emissions reductions in 20 years) seem to me to be the real fool’s bet. I can find no paper where CO2 has been titrated into actual ocean water to measure the pH change. All I can find is models. Can anyone point to a reference? The issue isn’t one of absolute CO2 levels but rather how fast CO2 levels are changing relative to the rate at which CaCO3 can be dissolved from rocks to neutralize the acidification. This isn’t really true. For one thing, there is no reason to believe that the rise per doubling is constant over so large a range. Also, that 33C number is with our current albedo…A “snowball earth” could be more than 33C colder. Hopefully, the climate sensitivity isn’t any higher than 3 C per doubling but I don’t think there are any mathematical guarantees that this is so. But the planet laughed at their presumption, and cooled as CO2 rose. So now they re-frame the argument, just like Joel Shore does above. Forget the fact that the biosphere expands when more plant food is available. Only rocks matter now. And they wonder why we laugh at their nonsense. Calcium carbonate solubility increases with increasing carbon dioxide content, lower temperatures, and increasing pressure. There is solid evidence that the Lysocline “shoaled” or became shallower for a brief period of time during the Paleocene-Eocene Thermal Maximum. Several cores obtained from the Walvis Ridge area in the South Atlantic during Ocean Drilling Program (ODP) Leg 208 contained a layer of red clay at the P-E boundary in the middle of an extensive carbonate ooze section (Zachos et al., 2005). This certainly indicates a disruption of the lysocline during the PETM; but it doesn’t prove that it was ocean acidification. The PETM was a period of extensive submarine volcanic activity (Storey et al. 2007) and pedogenic carbonate reconstructions do support the possibility that methane hydrates released by that volcanic activity may have sharply increased oceanic CO2 concentrations. But… The terrigenous paleobotanical evidence does not support elevated atmospheric CO2 levels during the PETM (Royer et al., 2001). The SI data indicate CO2 levels in North America to have been between 300 and 400 ppmv during the PETM. So, the PETM may have been an example of ocean acdification… But there is NO evidence that it was caused by a sharp increase in atmospheric CO2 levels. On top of that… There is solid evidence that elevated atmospheric CO2 levels have actually caused carbonate deposition to increase over the last 220 years (Iglesias-Rodriguez et al., 2008)… And when sudden increases of atmospheric CO2 have been tested under laboratory conditions, “otoliths (aragonite ear bones) of young fish grown under high CO2 (low pH) conditions are larger than normal, contrary to expectation” (Checkley et al., 2009). There is no evidence to support the notion that rising atmospheric CO2 levels have ever caused ocean acidification… And the hypothesis has been falsified under empirical conditions. Looks like a good study. I’ve said before that you need as many sea level datasites as possible to carry out a decent review of sea level since there is so much post-glacial rebound, local land uplift/subsidence and even plate tectonics to take into account. I’ll put it in but I should note that I am just focussing on the PaleoClimate starting about 10,000 years ago. There are lots of people looking at the more recent temperature trends and there is lots of easily available data so there is not as much rationale for earlier periods. What are some of the better sea level reconstructions over the last 2,000 years? I’d like to compare Jerejeva to the period from the Roman Warming through the Little Ice Age. I don’t have better reconstruction of sea level for the more recent periods. The sea level spreadsheet does have a link to an NCDC archive of sea levels that goes back 9,000 years or so for many locations around the world. It is not in an easy to use format (would probably take a long time to turn it into something useful). It is interesting though to see how much sea level change has varied by location over the recent past. For example, James Bay Canada has seen sea level fall by a huge 250 metres over the past 7,000 years (due to post-glacial rebound) while the Thames river area has seen sea level rise by 16 metres over the same period (due to post-glacial rebound of Scotland which has tilted southern England downward). These are the two extremes I believe. Now you see the problem with simply picking a few sea level gauges for an estimate (one might need all of them). I’m looking forward to your future essays on paleoclimatology. Yes, great work, Bill Illis. When I have time will look at all of this in more detail — essay plus comments printed out. Very much look forward to the next installment, plus Paul Dennis’s 101 primer on stable isotopes, etc. Poor Joel Shore. He keeps swinging away but the long arm of scientific experimental evidence shows him to be fundamentally ignorant even though well read in climate computer modelling. He keeps himself impotent. Thanks again to you and to the commenters who add their scientific expertises. We are light years ahead of where we would be without WUWT. But clearly this guy’s idea of CO2 “pollution” is so far off base as to be laughable. I hope you will revise the discussion of the trend in oxygen isotopes in the article as suggested in several other comments. The trend is not due to radioactivity, and it’s not settled as to whether they represent a primary signal or diagenetic overprint, so the data should not be detrended. In addition, there’s a plethora of data on current ocean acidification. Should you write such an article, might you please be quite specific about how a qualitative observation (heavy oxygen isotopes are disproportionately left behind during evaporation) becomes a quantitative equation linking delta-O with temperature? If you do a frequency plot of a large number of diverse isotope ratios used in climatology, is the median displaced from the reference standard? It seems to me that there are many more reported isotope ratios attributed to heating than to cooling. Have you found limits to the amount of differentiation that can happen in nature? Overall, is the distribution centered, skewed and/or bounded? “In addition, there’s a plethora of data on current ocean acidification”. Virtually all of the pH calculation is done from phase diagrams involving carbonate, bicarbonate, calcium and so on. Do you know of any references where ordinary sea water has been titrated with CO2 and the pH measured?